Fenway Health Statement on Passage of Bill Requiring Training in LGBT Awareness for Providers of Aging Services | Fenway Health: Health Care Is A Right, Not A Privilege. Fenway Health Statement on Passage of Bill Requiring Training in LGBT Awareness for Providers of Aging Services | Fenway Health: Health Care Is A Right, Not A Privilege. Fenway Health Statement on Passage of Bill Requiring Training in LGBT Awareness for Providers of Aging Services – Fenway Health: Health Care Is A Right, Not A Privilege. BOSTON, July 23, 2018—Last week, the Massachusetts Legislature passed “An Act Relative to LGBT Awareness Training for Aging Services Providers,” which will require the Executive Office of Elder Affairs (EOEA) to develop a training program for providers of elder services on how to prevent discrimination against older adults based on sexual orientation and gender identity and expression and on how to improve access to services for lesbian, gay, bisexual and transgender (LGBT) elders and caregivers. The law also requires all providers of aging services who contract with or receive funding from MassHealth’s office of long-term care or EOEA, or whose services are certified by EOEA, to complete the training program. In passing the law, Massachusetts becomes the only state in the country to require that all state funded or licensed providers of services to older adults complete training in how to provide meaningful care to LGBT older adults and ensure that LGBT older adults can access services. California has a similar law, but training is limited only to those working in the field of long-term care. LGBT older adults are much more likely than the general population to experience disability and physical and mental illness while they age. They are more reliant than the general population on services such as senior housing, transportation, support groups, legal services, and assistance from caregivers with their activities of daily living. 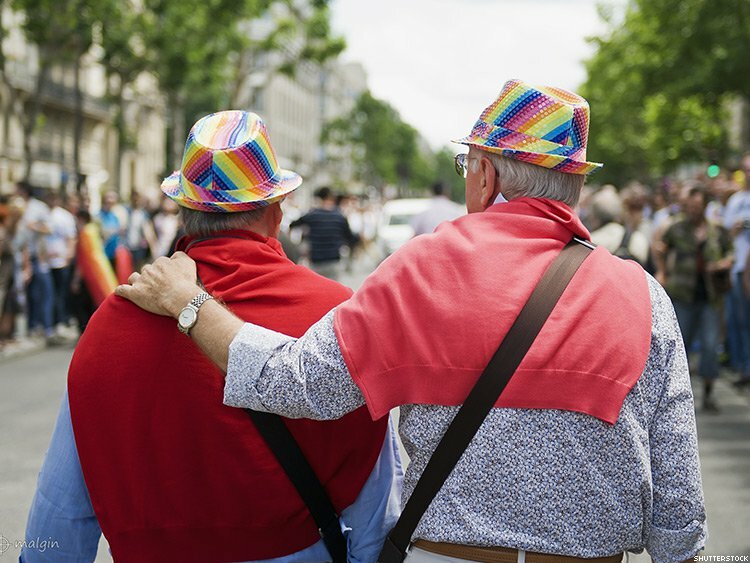 Yet older LGBT adults also report widespread experience with discrimination by caregivers and service providers that range from refusing to provide care to physical abuse and harassment.